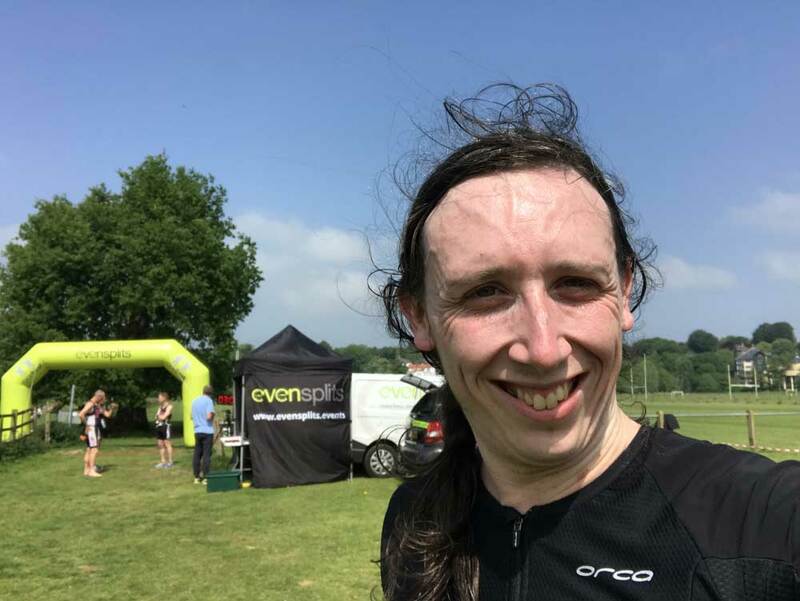 Last week, I completed my first standard distance triathlon. Standard distance is 1500 metres swimming, 40km bike and 10km run. This is the distance then use in the Olympics and one of the distances they use in the World Triathlon Series, alongside the shorter sprint distance. 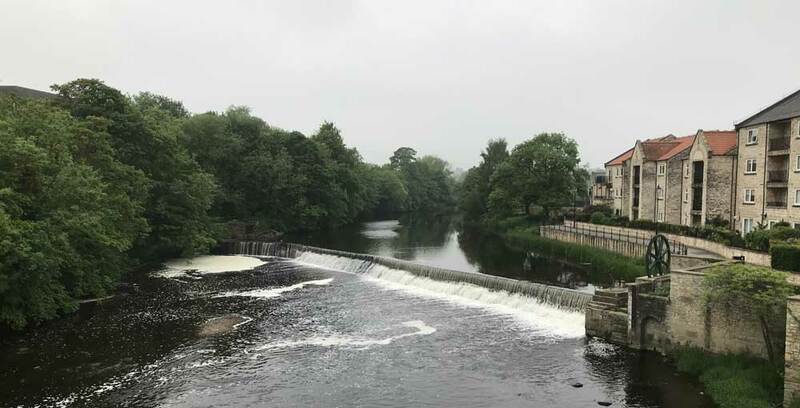 It starts in Wetherby with a swim in the River Aire. Luckily, we didn’t have to tackle the weir. The course goes upstream, then down, then up again. The current didn’t seem to make any difference as I couldn’t tell it was flowing. It was lovely and warm compared to the lakes I’ve been swimming in. It was clocked at 18 degrees the evening before and while it might have go down overnight, it felt warmer than the 16 degrees at the Evolve sprint race. The bike was an out and back course to Boroughbridge. It was very flat with a headwind on the way out and a tailwind on the way back. This made for easy riding: I managed an average speed of 27.3 kph, which is faster than I went at Evolve. Finally, the run went down the Sustrans route that runs through Wetherby. I couldn’t believe it when they gave me the printout. Everyone seemed to make it home faster than previous years so maybe it was just a fast year. But, importantly, I managed to avoid being the lanterne rouge, which was a very real threat based on my initial estimates and previous year’s results. I’m one of the slowest people in most sections, until the run, when I vastly move up the rankings. 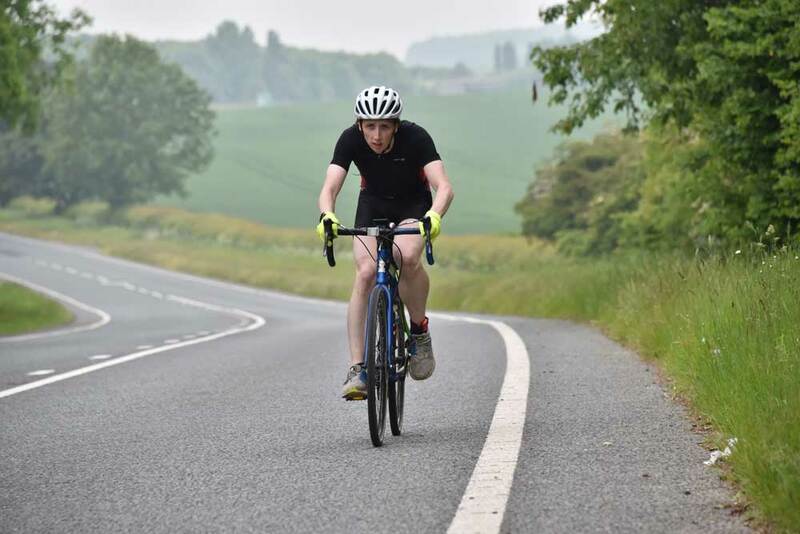 My next triathlon is ITU World Series Leeds, where I’m hoping there will be a much wider range of abilities so I’m not at the back for the entire race. This entry was posted on Friday, June 1st, 2018 at 11:00 am and is filed under Sport. You can follow any responses to this entry through the RSS 2.0 feed. Both comments and pings are currently closed.